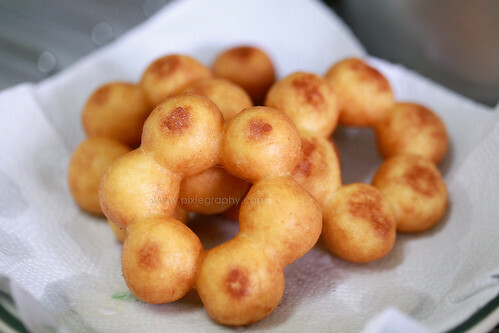 Chewy donut. You can eat it just like that or with toppings. Chocolate topping is my favourite. Mix everything. 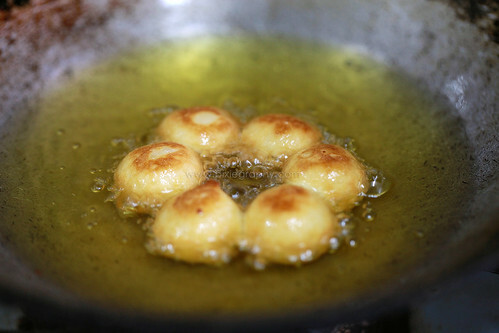 Shape the dough to small round balls. 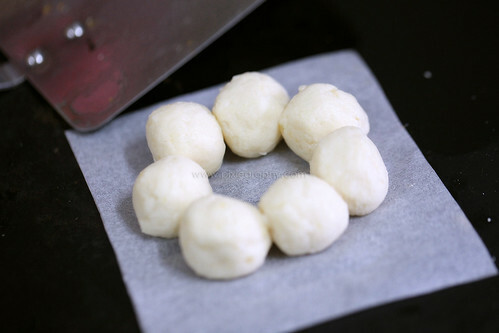 Form a ring using the ball on square baking sheets. Take the ring, put it on turner or skimmer then slide it in the frying pan. Fry until golden brown.